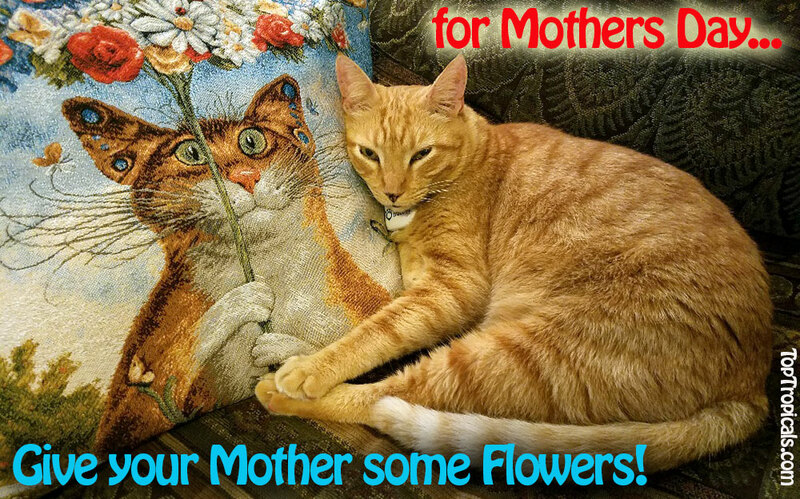 Live plant is a perfect gift! 1) Fill out all fields on the left and click "add to cart"
Once the order is processed we will email the gift certificate code to the recipient. 1) Go to our online store and select desired items into shopping cart. 2) Enter Gift Certificate number in shopping cart (field "gift certificate", don't mix it up with discount coupon). Press "Recalculate". You will see the total amount adjusted. you will be prompted to enter a credit card number to pay the remaining balance. Feel free to contact us for recommendations what is the best to buy. Gift Certificate is Nonreturnable; not for resale. Notwithstanding anything contained in these Terms and Conditions, TopTropicals Gift Certificates are not returnable or refundable. 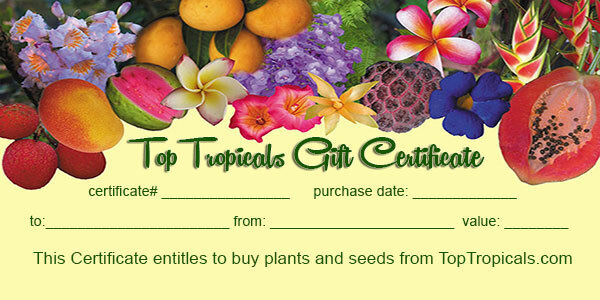 Resale of TopTropicals Gift Certificates is strictly prohibited.